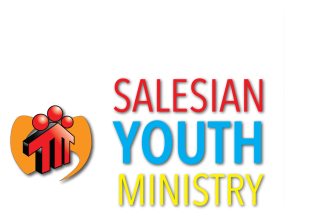 SummerDaze Day Camp is part of the evangelization and Salesian youth ministry at St. Benedict Church. SummerDaze integrates St. John Bosco’s “Preventive System” as a guide to all aspects of our program. ​St. Benedict and in the neighbouring schools and parks. Each day begins with prayer. On alternating Fridays the camp offers the celebration of the Eucharist and the Sacrament of Reconciliation. Other catechetical instruction occurs throughout the time in small joyful segments through storytelling, drama, sharing, and generally in the way we do things at camp. Our real strength is in our staff and volunteers, who model and promote playing fair, being sensitive, compassionate, and forgiving, who spend time with the campers and make them feel important and loved. We are reverent when it's time to be reverent, and exceptionally joyful all the time. This is where “reason, religion, and loving-kindness” as Don Bosco described them, occur at SummerDaze, in our time together, playing and having fun. SummerDaze is our attempt to recreate the oratory of St. John Bosco, in Rexdale. Registration process begins at 6:30pm-8:30pm. ** Registration will only be accepted in person or by mail. Applications received before April 5th will NOT be processed first, instead, they will be processed at the end of the day on April 5th. The priority is registration night. ** If camp is full, you will be called and will be offered a spot on the waiting list. If you do not receive a phone call that means your application has been accepted. There is no need to call and confirm. ** Only completed forms, submitted with payment, will be processed. This includes the waiting list. Incomplete forms may be mailed back and will not be processed.